About - Sunshine Drama School - Creative Drama Classes in Karori, Wellington. As director of Sunshine Drama, Jenae Ryan draws on her vast curriculum and syllabus knowledge which includes New Zealand School Curriculum, International Baccalaureate, Montessori Philosophy and both Trinity College and New Zealand Speechboard Syllabus. About Jenae Ryan ATCL, BA, Dip T.
Finally, a long-term dream is cemented! It was with great excitement that I launched Sunshine Drama. 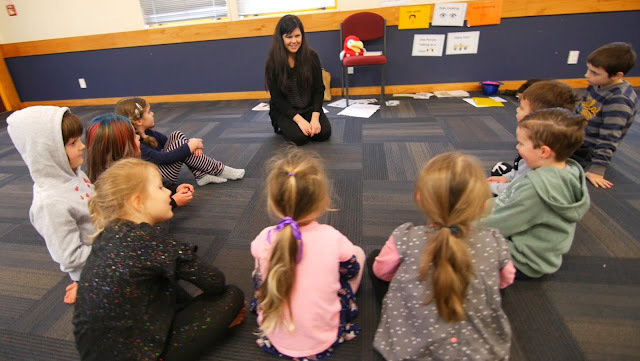 After fifteen years working as a fully registered teacher in New Zealand Primary schools, it was an opportune time for me to return to my roots as a Specialist Drama teacher, drawing on my training, expertise, skills and experience. With my own Speech and Drama Teacher as a mentor, I started teaching Speech and Drama to younger students when I was thirteen. I gained my ATCL from Trinity College and went on to study theatre, acting and script writing at Massey University where I completed a degree in English and Linguistics. Following on, I completed a Graduate Diploma in Teaching. Throughout my university studies, I continued to run creative drama classes and holiday drama workshops for children. In schools, I have run Professional Development Workshops to support teachers with implementing drama into their classroom programs, directed productions and held curriculum responsibility for the Arts. Supporting children to be confident, creative and effective communicators is at the heart of my teaching and I welcome the opportunity to work with your children.